CBF educates, inspires, and empowers more than 30,000 students, teachers, and adults every year with hands-on environmental education throught the Bay watershed. CBF provides high-quality professional learning that meets the evolving needs of teachers and schools across the watershed through the Chesapeake Classrooms® program. Our program enables teachers and school administrators to involve the entire school community in outdoor learning experiences that are aligned with local school system standards. 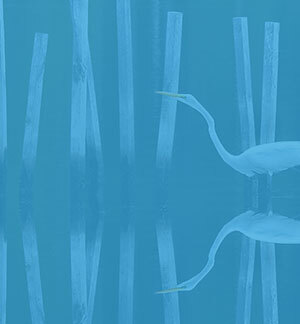 Chesapeake Classrooms focuses on methods for incorporating environmental education into the core subject areas of reading, math, science, and social studies. The resources used in Chesapeake Classrooms meet state educational standards in Maryland, Virginia, Pennsylvania, and the District of Columbia. Chesapeake Classrooms increases students' achievement and engagement in learning while improving their environmental literacy and stewardship ethic. Five-day summer immersion courses. More than 30 courses are now available in June, July, and August 2019! An online Resource Library full of lessons and activities for year round support of course participants. The opportunity to design a Meaningful Watersed Educational Experience. Through the Principals Environmental Leadership Program, CBF provides high-quality professional learning that meets the evolving needs of administrators and schools. Through field experience, training, resources, and collegial discussion, these key leaders learn how to design a school program that utilizes and benefits the local environment and their schoolyard. 2019 course offerings will be posted soon. 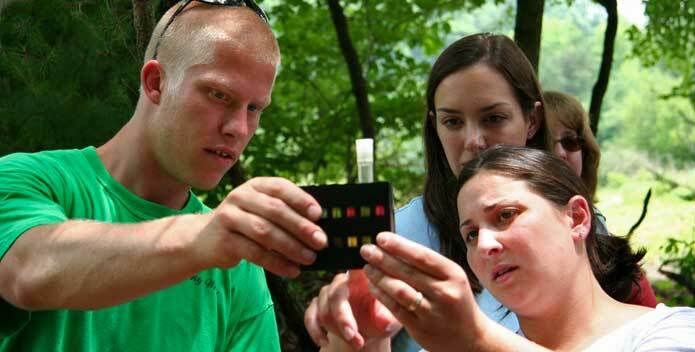 Educators can earn graduate or continuing education redits by participating in one of our five-day immersion courses held throughout the watershed in the summer. CBF's Chesapeake Classrooms is supported by the The Kahlert Foundation. The Montgomery County partnership is supported by the Howard Hughes Medical Institute. CBF's Environmental Leadership for Principals program is supported in part by the Henry L. and Grace Doherty Charitable Foundation, Inc. CBF's Teacher Environmental Literacy Program is supported by a grant from the National Geographic Society. Watch our video and hear what teachers have to say about Chesapeake Classrooms.